If we take a “big picture” look at any of us are trying to accomplish when we invest, we are almost always trying to set aside some money today with the expectation that we will have even more money during some distant tomorrow. That’s straightforward enough. If we thought that a $10,000 investment today would only be worth $9,000 in 2016, we wouldn’t do it. 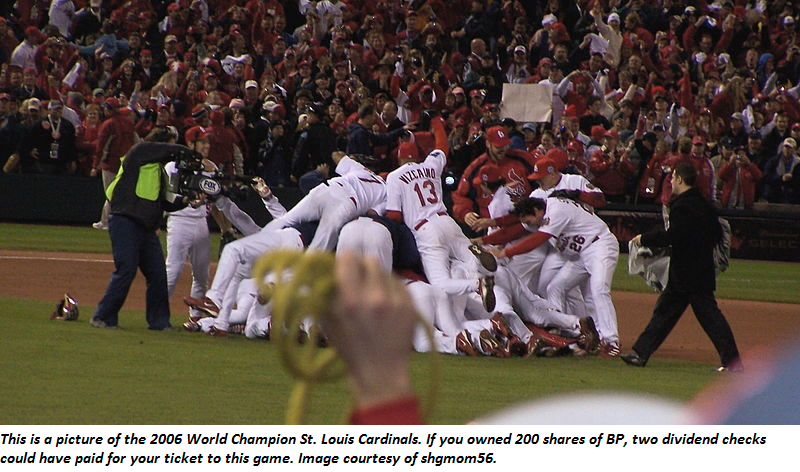 The tricky part that deters some people from investing is the fact that it would be more enjoyable to spend $1,000 today buying good pub food, St. Louis Cardinals baseball tickets, or Bruce Springsteen concert tickets. Those experiences provide real utility, and every dollar you invest today also … Read the rest of this article! Eleven million households currently exist in the United States in which the estimated amount of wealth that will be transferred from parents to children will exceed $1 million. As has always been the case, the wealthy households have been concerned about the effect that gifting large sums of money, be it directly with no strings attached, or through a professionally managed trust fund that makes regular distributions to their children as beneficiaries, may have on their children. Second, that the children will lack a work ethic and/or otherwise lead unproductive … Read the rest of this article!